You?ve built a website and are very proud to be counted among the ranks. Now you?re expecting people to come for a visit. In fact if this is your first website you?re probably thinking maybe I?ll get a few visitors or maybe a thousand visitors. Would it surprise you if I told you that you are going to get very few visitors? Remember the movie Field of Dreams, 1989? Kevin Costner plays an Iowa farmer whose dream is to be a baseball player, something his father wanted for his own life. In the movie he hears voices from players that have passed on. What he hears becomes an aphorism still used today, if you build it he (they) will come. Meaning if he built the ball field his father, shoeless Joe and other baseball players from Chicago would come and he would get his chance. However this is not the case with building a website. Unfortunately know one knows you?re there and you won?t hear any voices telling where to go from here. Eventually the search engines will pick it up and you will get a few visitors that will trickle in but how to get the thousands to come is the question. Building is just the beginning. You had your fun and now it?s time to get down to the nitty gritty. It?s called Website promotion. One of the secrets to tons of traffic to your website is to create one way back links. Writing articles is a way to get these back links. The proof is in the article you are reading right now that it works. Any questions? Yes it?s time to get out the paper and pen like you did in school. People want information. They want to learn something new. They want to feel they have some inside information that no one else has. This is the information age, are you going to give them what they want? If you have studied website promotion you probably have heard that content is king and if you haven?t then that?s probably good because it is slowly becoming obscure replaced with unique content is king. There are several things you can do to get started. You can buy private label content, (previously written articles) a big no no in my opinion since it indeed has been used everywhere else. You can purchase article generator software that puts a few filler words into your private label content, thus a new article. However I would not go this route as filler words are not usually unique. Another way would be to write the articles yourself. What am I going to write you ask. If you sell wedding dresses your readers are going to want to know about weddings, picking out dresses and maybe advice about the important day. If you sell travel packages your audience is going to want to know about the best places to see. If you?re a breeder and someone is looking to buy a puppy, you might want to write an article on how to choose one. If you are a guitar salesman your readers might want to know which one is the best. The world is ready for uniqueness and information so here?s your chance. How does an article help my site and what does it do? Most sites that accept articles for submission allow you a generous author?s bio at the bottom of your article. This is where you are going to give a brief description of yourself as well as the links of two or three sites you may be promoting. 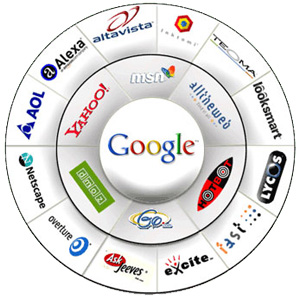 Over time you will create thousands of back links to your site that will send google into a tizzy. Back links is how the google determines what websites are worthy enough to have their robots roam upon. Roaming on your site is what you want. I can?t write anything you say. I feel empathy for you but do not despair, you can hire a ghostwriter. Give the writer your ideas, pay the fee and let them put the pen to the paper. These days to be politically correct it would be fingers to the keyboard. Unfortunately be careful of who you have write the articles. There are some sneaky people out there that will buy these software generators themselves and try to sell you the same articles that I just told you to stay away from. What is worse is at some point you will run across one that has plagiarized someone else?s work and copied it right from the website next door. Are the wheels turning yet? Now you ask where do I find these wonderful writers. If you will take the time to type in your google search type in freelance writer or other keywords, you will find plenty of people looking for work. The cost doesn?t have to be real high either. I know you have one final question and that is where the rubber meets the road. What is the cost? You can hire a ghostwriter for pennies per word or sometimes you can pay per article. Some freelancers charge ten dollars or more per article depending on the experience of the writer. This wasn?t your last question? Ok I have time for one more. What if I can?t afford to pay for these articles; I have a budget that looks like a shoestring. Well you still can write them yourself. There are plenty of free online courses that will teach you what you need to know. There is another benefit besides the back links you create by writing articles. Once you get a few hundred articles out there relating to your service or product you become the source of information. You become a recognized expert in your field. Folks begin to see your name in your author?s bio and say hey I?ve heard about this guy before. He must know something. Folks turn to you at the source and expert in your industry. This is the time right now to jump on the article bandwagon. I read somewhere that only fifty percent of Americans are internet connected. This leaves the field for playing wide open. This statistic does not even include foreign lands. Yes you can even market to them as they read and buy too. So only one decision needs to be made and I ask are you going to hire a ghostwriter or do it yourself? Either way is good if you are careful with the articles you buy and making sure if what you have is unique. Are you going to give your customers what they want? If you don?t someone else will. Potential customers want information and remember if you write it, they will read.